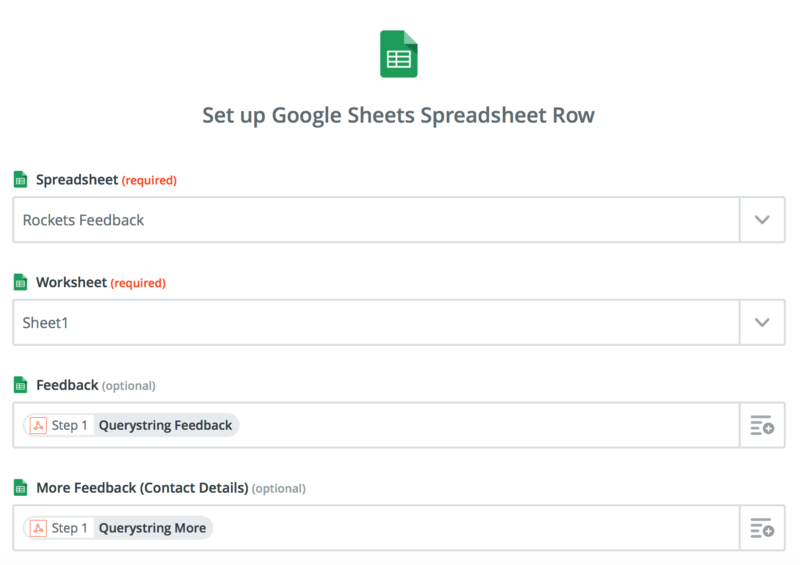 Exporting user attributes to Google Spreadsheets and Co. Sometimes you want to export some user attributes to a spreadsheet or other services, e.g. to collect user info for a special promotion you are doing. This can easily be done using a JSON API plugin in combination with Zapier. Add the plugin in the block you want to use to send the attributes and choose POST as the type of the request. 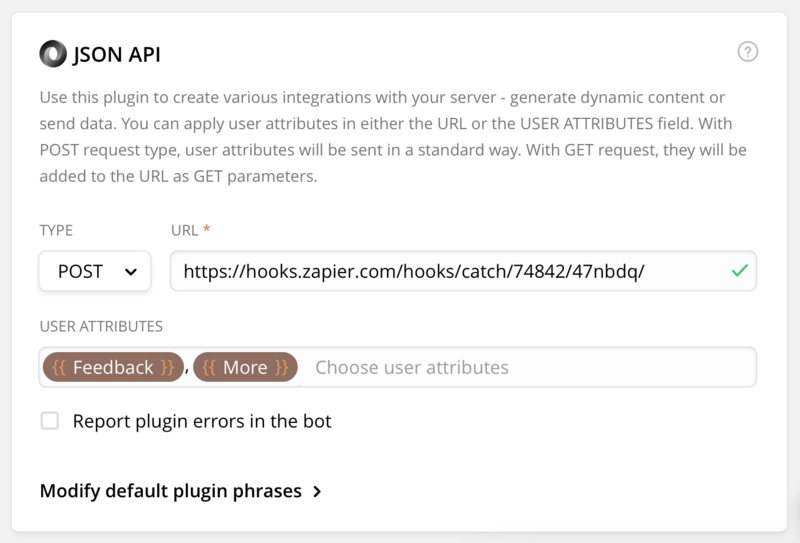 Then insert the attributes you want to save, and head to Zapier to create a new Zap. Zapier will then go ahead and try to test the URL. To do this, you will need to trigger the block containing the JSON API plugin once while Zapier is saying Looking for the hook... This will also make allow the zap to recognise the attributes you want to pass along and offer them as presets in the next steps of the setup.